When it comes to a magical family holiday, Turtle Beach Resort is one of the best places in Australia to escape to. This resort knows how to show families a good time with fantastic facilities, onsite restaurant and convenience store, stellar kids club, an adult’s only retreat and day spa, and self-contained apartments that are large enough for families to have a home away from home. Did we mention it’s located a 5 minute walk from Mermaid Beach? As well as a great set of pool facilities, the real deal is just around the corner. 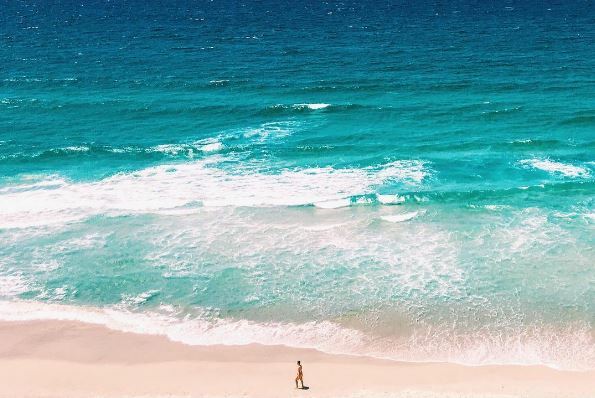 While you may not have heard of Mermaid Beach, it is just as beautiful as sister beaches Surfers Paradise and Broadbeach, but without as many people to share your golden sand real estate with. The resort prides itself on accommodating a family market, especially with their range of self-contained 1, 2, and 3 bedroom apartments that all feature full kitchen and laundry facilities, air conditioning, cable TV, a balcony or courtyard, and free WiFi. You can expect comfort and a great amount of space for the kids – many of our customers have wished they’d booked longer holidays as it’s so easy to be away from home when you have all your creature comforts! It’s no wonder Turtle Beach was voted 2nd Place Winner of Best Family Resort in Australia 2013, 2014, 2015, 2016, 2017 and 2018 by Holidays with Kids. The pool is where you should expect to spend a fair amount of time as the newly renvoated “Splash Zone” sports four waterslides, two toddler slides, dumping water bucket, water cannons and more across four separate lagoon and lap pool areas. There is also an adult’s only retreat featuring a private pool and sun lounges, spa, 15 hole putt putt golf course, playground, tennis court, gym, games room, day spa, BBQ area, and even cinema room so you don’t have to endure Frozen in your apartment! Eating is entirely up to you, you can enjoy dining at ‘The Deck’ the onsite restaurant that has great meals at very reasonable prices, or choose one of the several lovely restaurants in walking distance from the resort such as Olive Tree which is café style dining that’s great for breakfast, Mandarin Court which boasts delicious Asian cuisine, and Trio Romano for traditional Italian for just a few options. 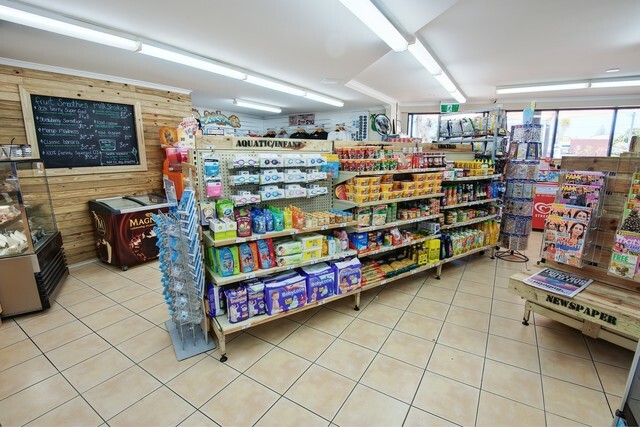 Alternatively, with both a full kitchen and onsite grocery store, eating in has never been easier! It also helps keep your holiday on budget. 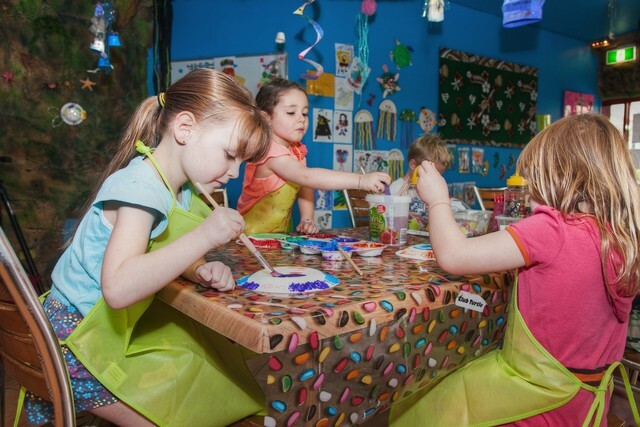 Club Turtle Kids Club boasts a specifically designed holiday program for kids aged 4 to 12 packed with activities that compliment the fantastic resort facilities. The sessions run from 9am til Midday Monday, Tuesday, Thursday, and Friday, and every evening from 5pm til 8pm. Our hot tip is to take advantage of at least one session for some adult time at the Day Spa with a couples massage, a nice dinner, or even just stroll along the beach together. To explore the greater Gold Coast area – including getting to the famous theme parks such as Dream World, Movie World, Sea World, Wet ‘n’ Wild, and White Water World you can hire a car, but there is a handy bus stop directly outside the resort that connects you to everything not in walking distance, so car hire is completely optional! There are even DVD vending machines around the resort if the cable TV isn’t tickling your fancy! Of course, if you need anything during your stay at the resort, the staff are incredibly friendly and helpful and go above and beyond to keep their guests happy. 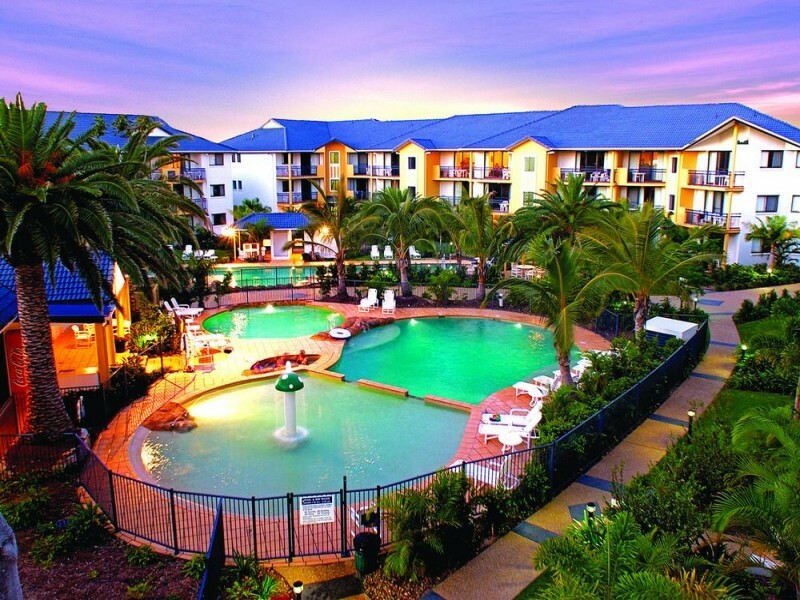 Overall if you want a fantastic family holiday on the Gold Coast, you cannot go past Turtle Beach Resort. Call the holiday experts at Discover Queensland today to book your family escape on 1300 788 553.